Whenever you update your status or change your profile picture in Facebook the changes will be visible in your friends news feed which is not bad, but it is not good all the time. Updating your profile information especially unimportant information like adding hometown or adding some personal life event in Facebook should not be public on all occasions. At sometimes you would like to keep things low and don’t like such big announcements, if it is so then here is how to stop Facebook from notifying everyone. You can stop two things that is the notification that your friends see on their timeline whenever you change your profile picture and hiding your profile picture that is preventing public or friends from enlarging the profile picture. 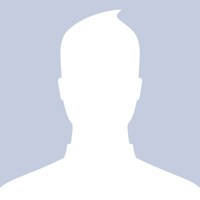 First update your profile picture as you would normally do that is go to your profile page and then add a profile photo or update profile picture. After choosing your photo and cropping it, you will see an option like stop notifications at your right side which has nothing to do with. This stop notification option will only stop you from getting notifications that is when someone likes or comments on your profile picture, but not your friends. So to stop notifying your friends about the profile picture update, go to your timeline immediately after changing your profile picture or view your activity log. You will then see your own picture saying you have changed your profile picture. Just drop down the post at the top right corner and then select hide from timeline which then hides the profile picture from your timeline and your friend’s timeline. You can go on with this method whenever you think of updating profile picture without notifying or annoying your friends. Anyhow they can still see that your new profile picture changed and they can like it, share it or comment on it. How to prevent those activities? You can do that by making your profile picture private. Preventing public or friends from enlarging your profile picture that is making your profile picture unclickable or making your profile picture private is simple. Just view your profile picture, drop down the public option at the top corner and then select it to “only me” or you can choose custom settings. That’s it now your friends or public can’t enlarge your photo, can’t like your photo and can’t share your photo. In a same way you can hide your cover photo notifications from your friend’s timeline, but not the cover photo, may be Facebook should add this option in feature.